The Nutrition Department offers complementary and program-related nutrition courses. 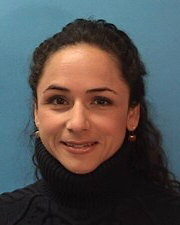 Magda Fahmy graduated from Concordia University in 2001 with a Bachelor of Science in Exercise Science and continued her studies at McGill University where she completed her credentialing to become a dietitian in 2005. She also completed a Masters of Science in Dietetics and Human Nutrition at McGill University in 2011 with a project focused on developing nutrition and physical activity recommendations to prevent gestational diabetes in subsequent pregnancies. As a member of L’Ordre Professionnel des Diététistes du Québec (OPDQ), Magda has worked in many areas of nutrition. 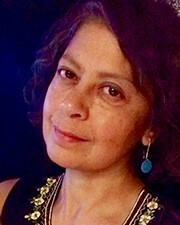 Before working at John Abbott College, Magda taught Continuing Education for the University of Guelph and worked as a dietitian in Community Health Centres, long-term care, non-profit organizations, and private clinics promoting health and providing nutrition consultations to clients since 2006. Magda joined John Abbott College as a nutrition teacher in 2011. For a list of courses offered by the Nutrition department, please visit the General Education (Complementary courses) section of the Course Calendar.